Zombies have represented plenty of things since George A. Romero first sicced them on the world in 1968’s Night Of The Living Dead. In that film, which set the precedent for the shambling, cannibalistic zombies of today, the living impaired might be stand-ins for communists or city dwellers encroaching on the countryside. 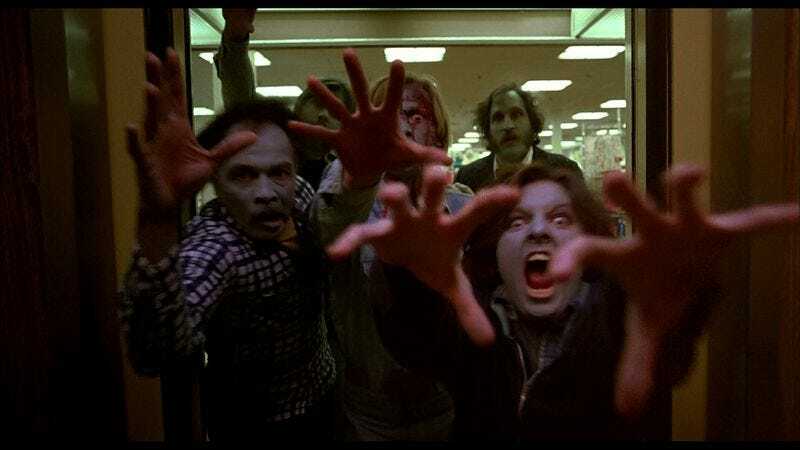 In Romero’s Dawn Of The Dead, released at the tail end of the 1970s and remade in 2004, the zombies are mindless consumers who invade a shopping mall. Ultimately, though, Romero’s films, and all the countless zombie movies, zombie TV shows, zombie books, and zombie video games that followed, are all about the same basic thing: collectivism, the idea that the needs and desires of the group outweigh those of the individual. This intriguing theory comes straight from John Coumes’ “The Unified Theory Of All Zombie Fiction,” a neat little think piece at Kill Screen. Zombies, like plagues and nuclear holocausts, flare up most in times when we feel real destruction looming over us, whether it’s the Cold War, the Gas Crisis of the 1970s, or right now, as climate change is posing an ever-more-obvious threat to the way we live. But zombies aren’t just a bellwether of how endangered we feel; they may well be an indication of how we might save ourselves.